By Melissa Lennig on January 31, 2015 11 Comments. This content contains affiliate links. As an Amazon Associate I earn from qualifying purchases. Paper straws are a fun, versatile, and inexpensive material to use for crafting, building, and sensory exploration. 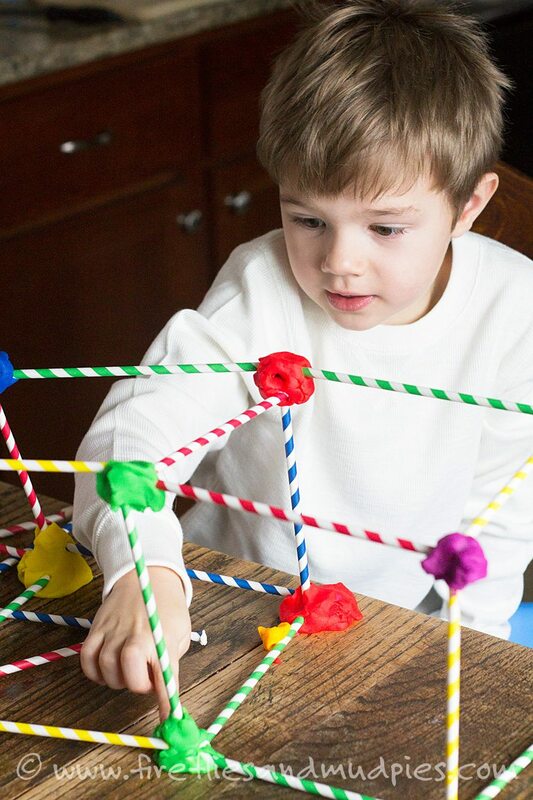 Little builders may enjoy the design challenge of engineering with straws and playdough. What can they build? This activity kept my son and I occupied for an entire afternoon! We both enjoyed the large-scale building experience that straws and playdough provided. My son began by building a basic structure he referred to as a “house.” He soon discovered the importance of symmetry and proportion in his design as he struggled with his structure flopping over. The amount of playdough used for support also mattered! There is a lot of good stuff going on in this activity! 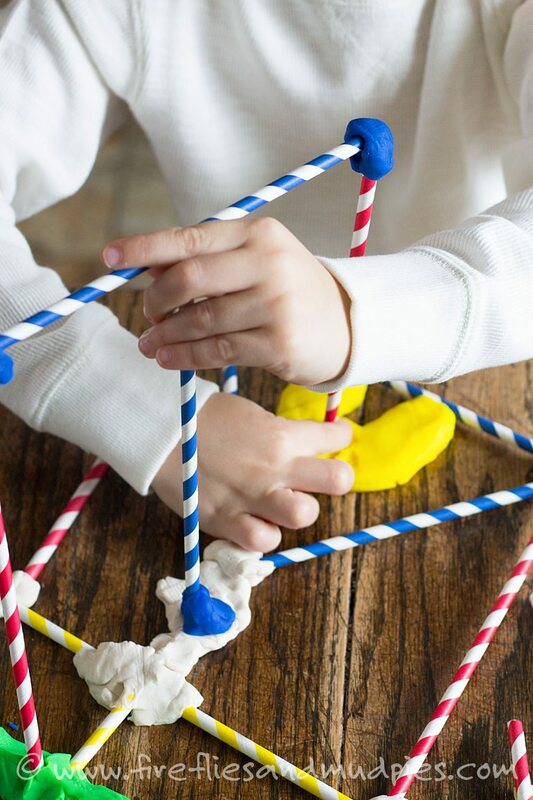 From fine-motor skill development to analytical problem-solving, building with straws and playdough provides a strong STEAM experience for kids. Shared below are 20 engaging, creative straw crafts and activities for kids! Which one will you try? Art engages the senses and these crafts have it all! 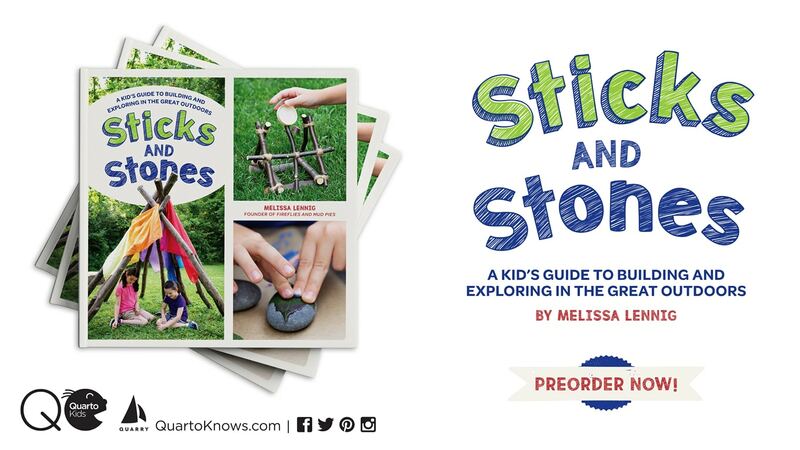 Engage children by exploring the texture and versatility of drinking straws. 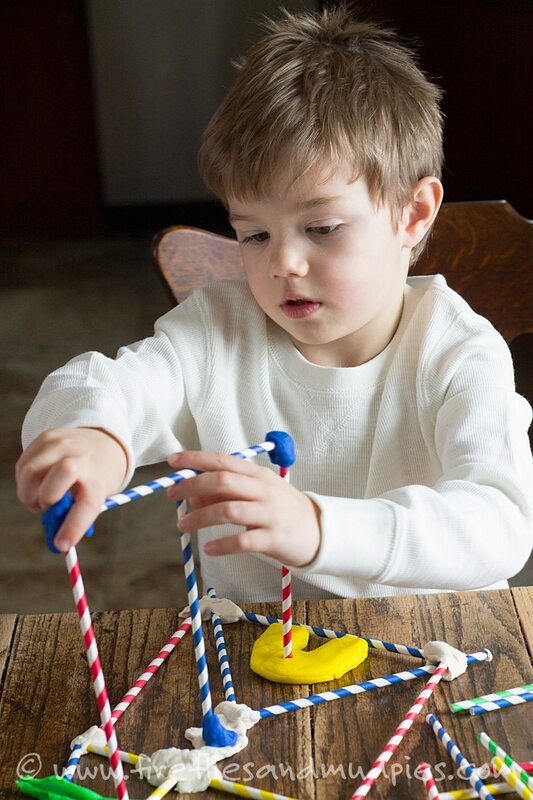 The straw activities shared below build fine-motor skills and enhance hand-eye coordination. This post is part of the 31 Fun Sensory Activities Blog Hop. Click the image below for more fun ideas! Hi. I was just wondering. What is a STEAM activity? STEAM is Science, Technology, Engineering, Art, and Math.